ASP.NET MVC by Microsoft is a powerful, patterns-based system to build dynamic webs applications . It enables a clean separation of concerns and that gives developers full control over markup for modern, agile development. ASP.NET MVC includes many features that enable fast, Test Driven Development for creating sophisticated applications that use the latest web standards. The MVC Architecture is the key strength of ASP.Net MCV. With Razor Pages and support for popular Frameworks like jQuery, Owin, Bootstrap and Web APIs out of the box it provides a complete solution for end-to-end web application development. Coupled with the powerful Visual Studio it enables rapid application development in the world of Web 2.0. 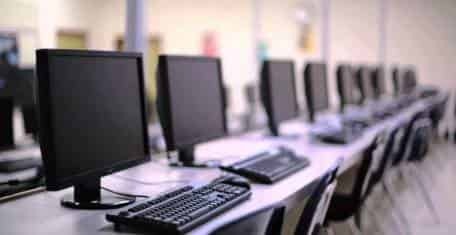 Majority of businesses today are opting for upgraded .NET framework — Model View Controller (MVC) to have a competitive edge over contenders belonging from the same category. The platform holds the promise to keep up the expectations of a developer with its extension available today. 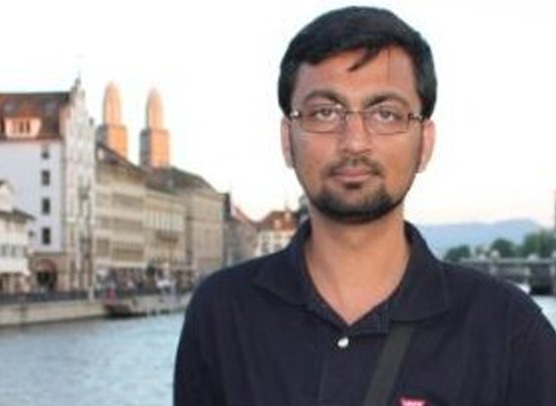 Yousuf Bin Azhar is the CTO at Agilosoft with 10 years of experience in Software Development. He has a Master’s degree in Information and Media Sciences with specialization in application security and privacy. Over the past few years he has been working on projects involving Angular JS, MVC, jQuery, SignalR, SQL server for multinationals based in USA. 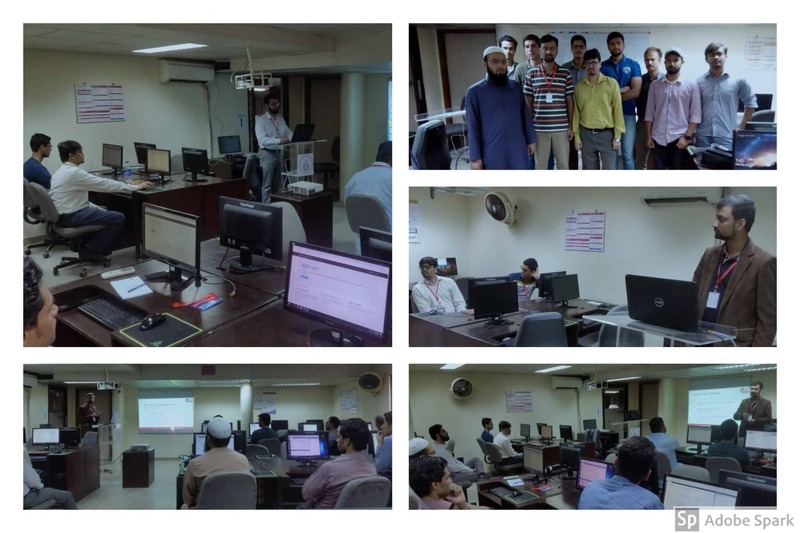 At GetProfessional, Yousuf conducts training courses as a faculty member and trainer. 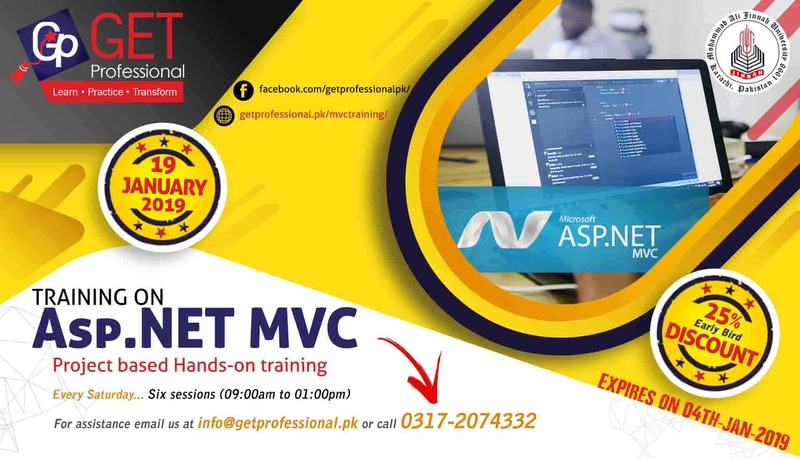 The training is of 24 hours in total spread over 06 weeks, and will start from Saturday, 19th-January 2019. We offer 25% discount if you are an early bird and register before Friday, 05th Jan, 2019.